Danielle has served as the Senior Jewish Educator at Hillel JUC since 2013. Prior to her work at Hillel, she served as the Adult Education Coordinator at the now-defunct Agency for Jewish Learning. Danielle holds an MA in Medieval Jewish Studies from the Jewish Theological Seminary, where she also completed her doctoral coursework. A medievalist by training, Danielle received her BA from Oberlin College, was a Graduate Research Fellow at the Hebrew University in Jerusalem, and also completed studies at the Universidad Castilla-La Mancha and the Universidad de Cordoba in Spain, as well as at NYU, The CUNY Graduate Center, and Columbia University. 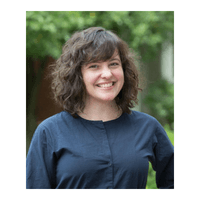 A nationally-recognized relational educator, Danielle was invited to the inaugural Relational Engagement Circle convened by M2: The Institute for Experiential Jewish Education. 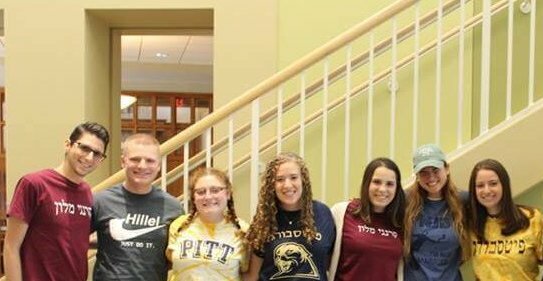 Danielle works with student leaders and individuals to enrich Jewish life on campus through fostering a deep connection to the Jewish tradition, as well as directing several learning fellowship opportunities throughout the year. In 2018 Hillel JUC received the prestigious Meyerhoff Award for Jewish Educational Vision from Hillel International, recognizing the impact of educational programming under Danielle’s direction. Danielle lives in Squirrel Hill with her husband Alex, a professor at Duquesne, and their children Eli and Margalit.